Delta announces direct flights to L.A. Tue., Feb. 19, 2013, 11:22 a.m.
Delta Air Lines officials this morning announced the airline will begin nonstop direct service to Los Angeles starting on June 10. 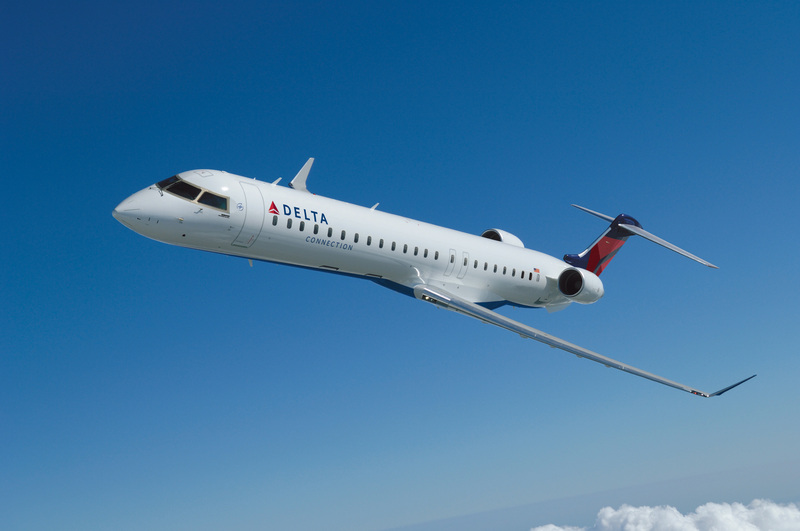 The daily flights will depart from Spokane International Airport at 6:45 a.m. aboard a Bombardier CRJ900 jet with 76 seats. The departing flights will arrive at LAX at 9:20 a.m.
Return service will leave LAX at 7:50 p.m., arriving in Spokane at 10:25 p.m.
“We think this has real opportunity,” said Jeff Davidman, director of government affairs for Delta, who came to Spokane from Minneapolis for the announcement. “We think it’s the right size aircraft,” he said. The announcement came during a reception attended by more than 100 people in the Marie Antoinette Room at the Davenport Hotel. “I’m so excited,” David Holmes, chair of the Spokane Airport Board, told the gathering. He said it will be important for people in Spokane to make use of the service to ensure that it continues in future years. U.S. Sen. Maria Cantwell, D-Wash., during the event said that Spokane was the largest city in the U.S. without direct service to Los Angeles. She said the new route adds the economic growth potential represented by the airport and aviation industry, but also could bring new tourism to the region. Opening a direct flight from Spokane to Los Angeles has long been a goal of community and business leaders because of the convenience and time saving elements. The service is made possible through a small communities air service development grant awarded to SIA in 2011. The grant provides up to $900,000 in federal aviation funds combined with $200,000 in locally raised funds, said Larry Krauter, airport director and CEO. The money can be spent to subsidize any operating losses for the first year of service, which works as an incentive for the airline. In addition, grant funds can go for marketing the new route. “It basically de-risks the investment on the route,” Krauter said. Published: Feb. 19, 2013, 11:22 a.m.